Volunteers from Standard Chartered Bank took up rural project as part of social responsibility programme and visited Kushtarog Niwaran Samiti at Shantivan, Panvel-Nere, Dist. 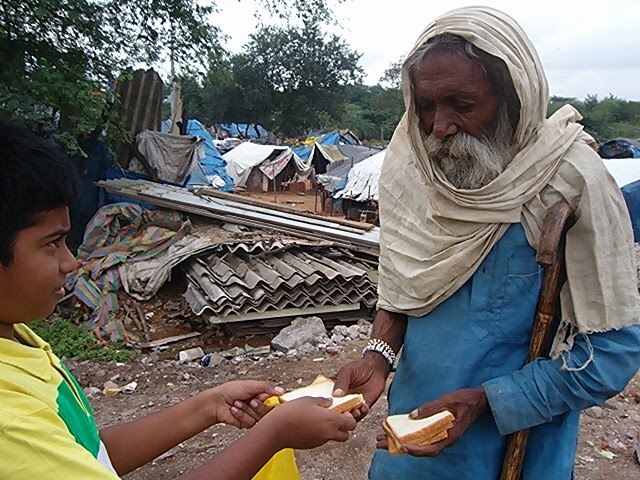 Raigad, Maharashtra on 13th Nov. 2010 and did social work connected with farming and harvesting. 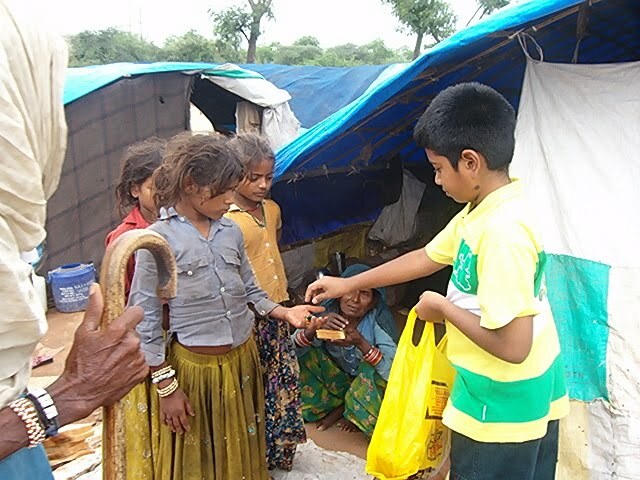 The team's enthusiastic social efforts brought smiles on many farmers in Shantivan. "Goodness has no boundaries". 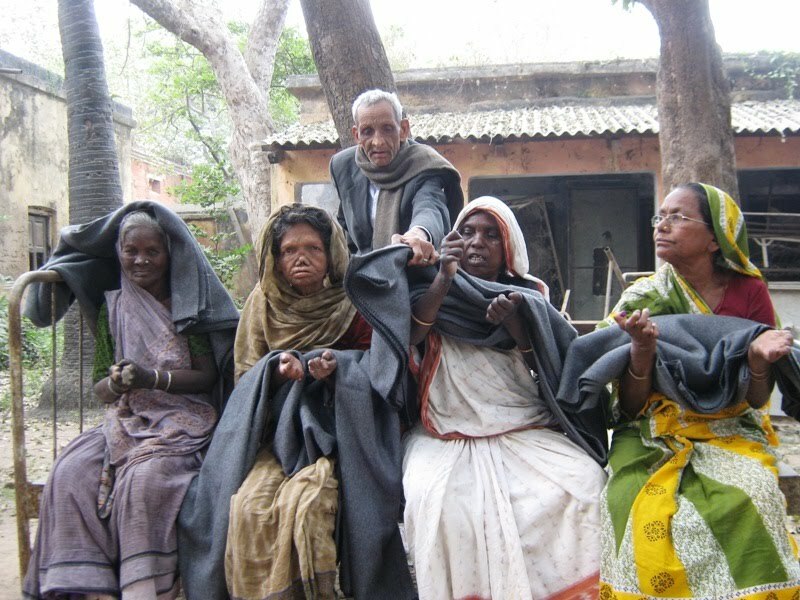 The social responsibility initiative was co-ordinated by Indian Development Foundation, a leading national NGO committed for health, education and rural development. 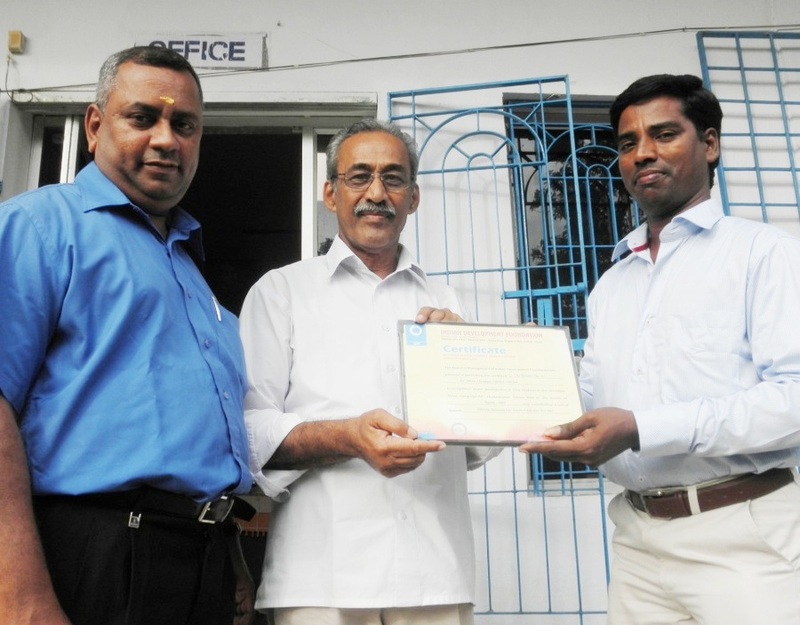 Mr. H. Gurumurthy, Sr. Development Executive, IDF presenting IDF Social Action Award to Mr. C. A. Vijaya Ratnam, Principal, Kendriya Vidyalaya, Tungabhadra Dam, Hospet for supporting IDF's social responsibility programmes. Sevenhills Hospital team comprising Mr. Rajiv, Mr. Jayesh and Ms. Moumita visited IDF office and offered their service in carrying out health camps and health talks as part of their social responsibility initiatives. Dr. A.R.K.Pillai, Dr. Narayan B. Iyer and Dr. Sharad Nayampally appreciated the social programmes of Sevenhills Hospital. 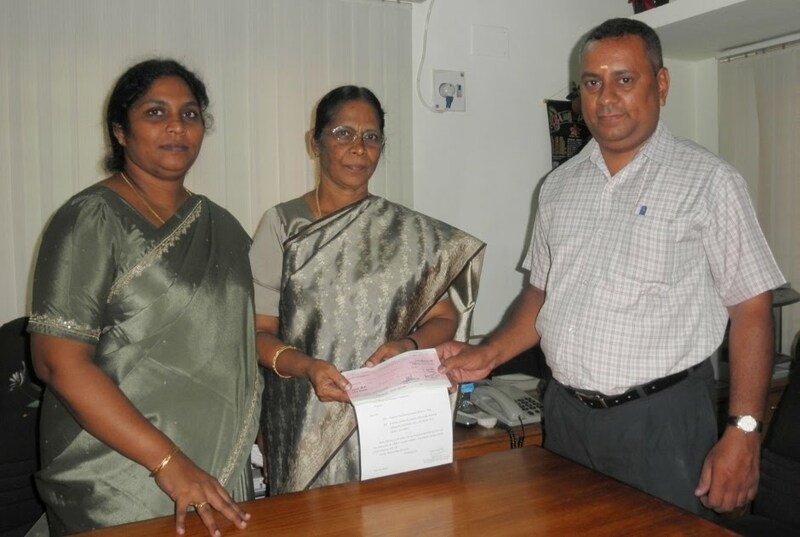 Mrs. Ruby Dhas, Correspondent and Ms. Shirly Ann, Principal, St. Savio Mat. Hr. Sec. School, Velacherry, Chennai presenting a donation draft to to Mr. S. Sreeram, Zonal Officer, IDF, Chennai. 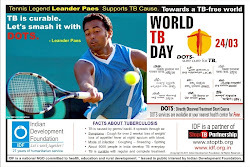 Indian Development Foundation thank the Schoolteam for support extended to leprosy/TB/education programmes of IDF. Dr. Narayan B. Iyer, CEO, IDF was invited by Saraswati College of Management, Kharghar to deliver a lecture on Corporate Social Responsibility to the Management students on 10th Nov. 2010. Students keenly listened to the topic and also took active part in interactive session. Prof. Pravin More, Prof. Sonia Pant, Prof. Sanjeev Kadam and Prof. S. Jeba were present at the session. Students - Harshal Chaudhari and Snehal Ramdin were inducted as leaders for social responsibility programmes supporting IDF's Bal Gurukuls. 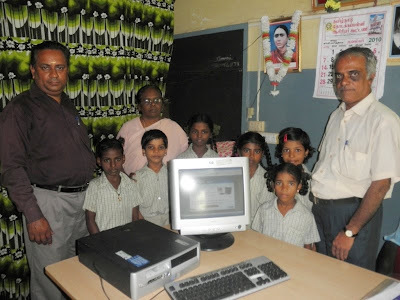 Indian Development Foundation team comprising Mr. S. Sreeram and Mr. R. Parthasarathy presented a computer to Thiruvalluvar Bal Gurukul, Royapuram, Chennai run at St. Anne's Primary School. The computer received from Rotary Club of NorthWest Madras under E-vidya Scheme for IDF's Bal Gurukuls were distributed. IDF thank Rotarians for their goodness and support. Twelve-year old Nishchith moved his fingers on the musical keyboard to play the latest numbers from Endhiran and ten-year old Karan Dravid danced to the tune to entertain the less-privileged children of Mary Immaculate Bal Gurukul at Benson Town. When several hundreds were busy sending Diwali messages from their latest Corby and touch-pads, Nishchith and Karan thought it fit play music and bring smiles on children faces. 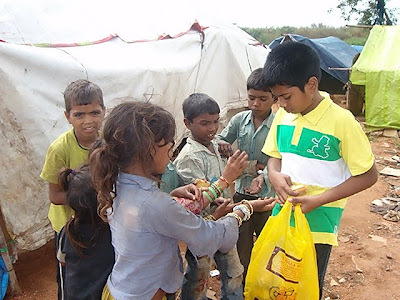 We have been observing Diwali festival in a different manner for a couple of years, said smiling Nishchith and Karan who are studying in class VII and V respectively in Kendriya Vidyalaya MEG & Centre, Bengaluru and they are the young social ambassadors of Indian Development Foundation (IDF). 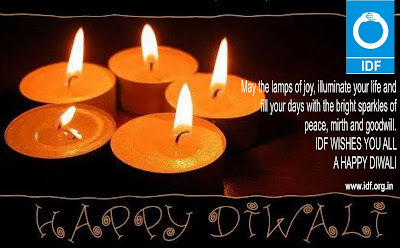 Indian Development Foundation celebrated Diwali Festival with the children of Mary Immaculate Bal Gurukul on 5th November 2010. Rev. Sr. Florita, Mother Superior, Mary Immaculate Sisters of Bishop Morrow thanked the young social ambassadors, Nishchith and Karan, for spreading the message of love and togetherness among the Gurukul children. Rev. Sr. Vincenta, Secretary of the Centre invoked blessings for universal peace and prosperity while Dr. S. Franklin, Manager of IDF spoke on the spirit of Diwali and blessed the children on the occasion. Social worker Nancy Das explained the children about the importance of Diwali and told them to wean away bad thoughts and instill good habits. Sr. Caroline, Provincial of Mary Immaculate Sisters of Bishop Morrow, appreciated IDF for its commitment towards fulfilling the educational requirements of the needy children. 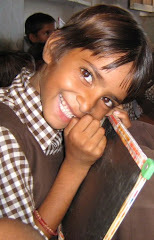 The excitements of the children in the centre were boundless and they were immersed in joy of dance and merry. 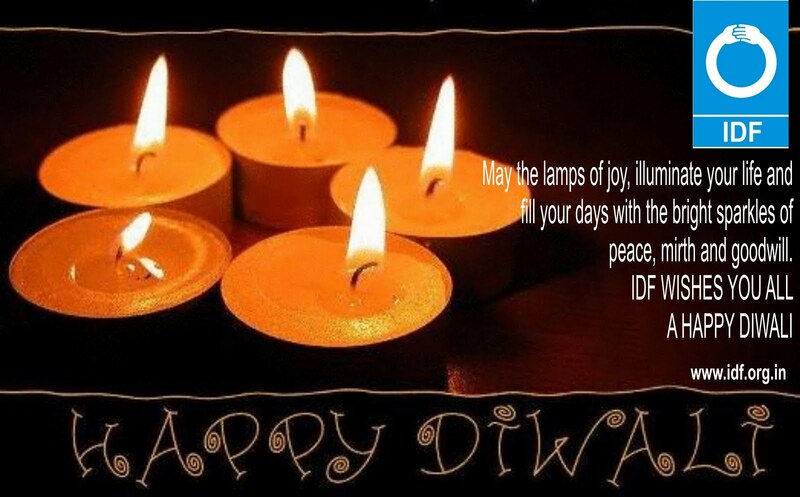 One could see beaming happiness on childrens’ faces as they received sweets and sparklers. Mr. Samuel Vincent and Mr. C.A. Mathew from IDF co-ordinated the celebrations while Ms. Vineeta, teacher of Bal Gurukul proposed a vote of thanks. Master Karan Dravid, IDF student social Ambassador celebrated Diwali in a different manner, by offering the money meant for crackers to give food to the inmates of Little Sisters of the Poor - Home for the Aged, at Hennur Road, Bangalore. 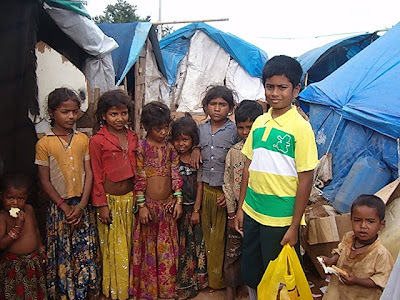 While talking to the inmates of the home, ten year old Karan said, he finds more happiness in celebrating Diwali festival with the elderly people than bursting crackers. The elderly people in the Home admired Karan’s love and affection for them. Karan did mimicry of punch dialogues from cinema hits and sang songs from Endiran much to the entertainment of everyone. 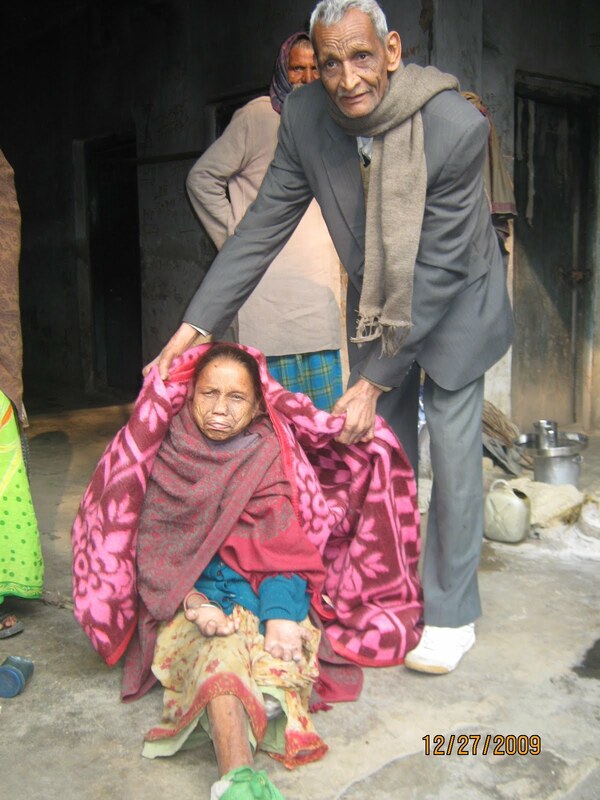 Dr. Franklin appreciated Karan’s social values and thoughts even during festive season. Ms. Vijayalakshme Manokaran, Principal, Muthusamy Gounder Matric. Hr. 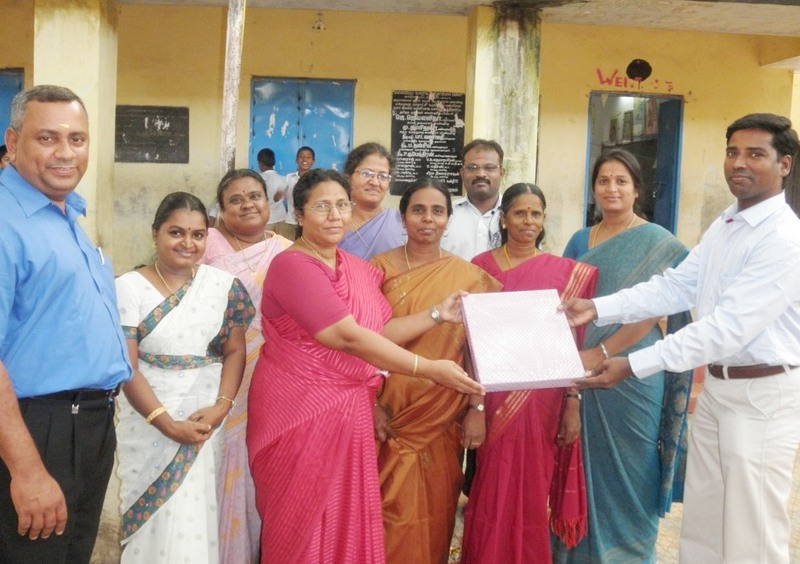 Sec.School, Mannur, Pollachi, Tamil Nadu supports IDF's leprosy/ TB programmes. Mr. Mano Ranjit Lad and Mr. F. Fredrick from IDF look on. 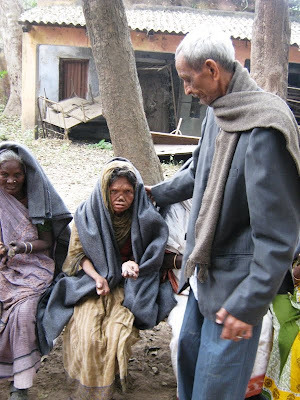 Indian Development Foundation jointly with Rotary Club of Mumbai North End, All India Women's Conference and various organisations celebrated Diwali Festival with the inmates of Vimala Centre on 02-11-2010. A celebration with a difference. 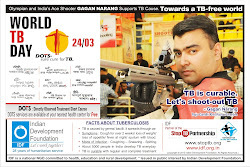 Students from Christ University, ITM Business School, Vidyalankar Institute of Technology, Podar International School, Symbiosis Institute of Mass Media and Communication joined hands with IDF to bring happiness on many lives. Mr. Sam Deva Asir RM was given a farewell at Trichy by the IDF Team. Dr. S. Franklin, Manager-SR, IDF recalled with pleasure the excellent social work and support of Mr. Sam during his tenure with IDF. Mr. Sam also expressed his thanks to the Foundation for giving him an opportunity to serve the society at large. I wish to continue supporting IDF's work during my spare time, Sam said with a smile. 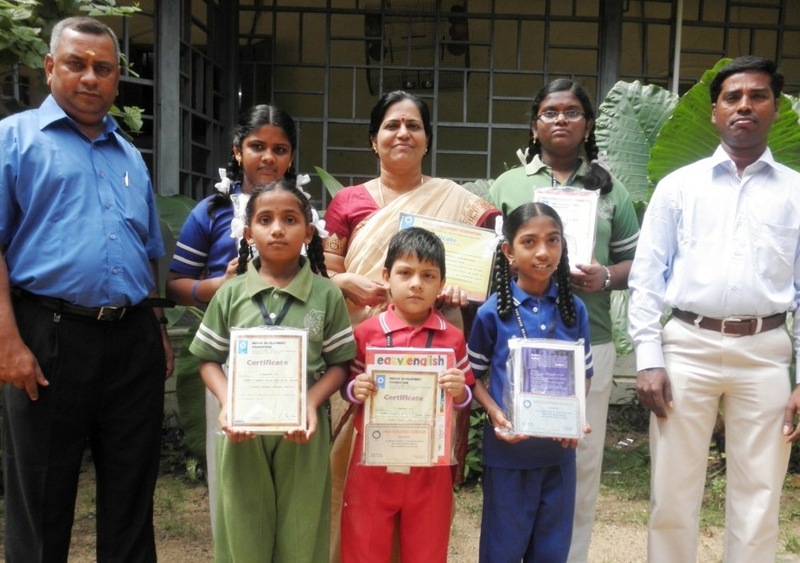 IDF Team comprising - Dr. Franklin, Mr. Sreeram, Ms. Krishnaveni and Ms. Kalaivani - did the felicitation to Mr.Sam at Trichy. 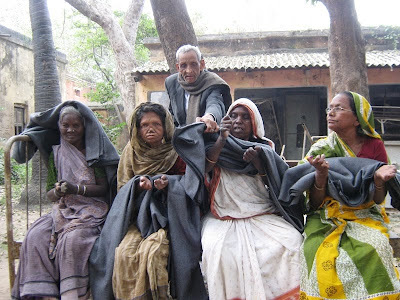 IDF team comprising - Dr. S. Franklin, Mr. S. Sreeram, Ms. N. Kalaivani and Ms. S. Krishnaveni - reached RSK Hr. Sec. School, Kailasapuram, Trichy on 1st Nov. 2010 to express sincere thanks to the schoolteam for their excellent participation and for topping the peak social performer status in India. Dr. S. Franklin recalled the decades'-long partnership of RSK School with IDF towards working for deserving social causes. He lauded the Principal, teachers, students and the entire school team for achieving first rank at national level for resource mobilisation supporting humanitarian causes. Mr. P. Varadarajan, and Vice Principals, Ms. Prema Jayadevan and Mr. Surendran congratulated IDF's national efforts in leprosy eradication programmes.